If you love Xbox gaming as much as I do, you've probably considered picking up a new or specialized Xbox controller—if you haven't already. If you just want the most tricked-out and performance-ready controller around, I recommend the Xbox One Elite Wireless Controller. While it's definitely not cheap, I've spent enough time gaming with it that I can comfortably call it the ideal choice where comfort, programmable functions, and general aesthetic is concerned. 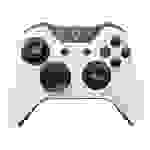 However, you don't need to spend triple-digit money to get a great Xbox controller. 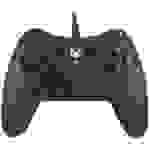 There are Xbox controllers from as little as $25, as well as specialized and wired pads from third-party manufacturers that often slot in cheaper than the $60–$75 price tag of the official Xbox wireless controller. 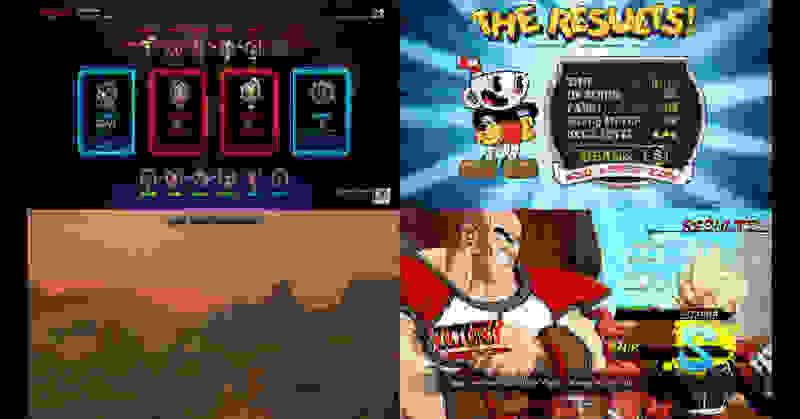 However, there are a lot of cheap knockoffs out there, and many eccentricities to the third party products that gamers need to know about. That's where we come in. We gathered and tested some of the most popular Xbox controllers on the market—from super-affordable to high-end pro controllers—to determine the best of the best. These are the best right now. The Xbox One Elite Wireless Controller raised a lot of eyebrows when it launched featuring a $150 price tag and more accessories than a 90s Thundercats action figure, but there's no denying its supremacy within the Xbox controller lineup. The Elite is essentially modular: its left/right joysticks and directional pad (D-pad) can be swapped out, with the former replaceable via a combination of taller and domed/grippier sticks, and the latter able to be swapped between a traditional "cardinal" D-pad and a round, omnidirectional selector. That's not to mention the four optional rear paddles, which can be programmed any way you like and allow serious gamers to utilize their otherwise oft-wasted middle, ring, and/or pinky fingers. If this sounds like total overkill to you, well, you probably don't need a $150 controller. I'd even argue that most people won't. That said, the Elite goes beyond its complex array of customization options (which you can read way more about right here). It's also just an extremely comfortable-feeling controller to hold for long periods of time: the metal hardware is cool to the touch, while the plastic is soft and buttery smooth. It's sturdy and satisfyingly heavy, to the point that it makes the default controller feel a lot more like a toy. The only real competition the Elite has within the whole lineup of Xbox controllers come in the form of third-party high-end options, like the Razer Wolverine and Scuf Infinity. While those controllers stand against the Elite in terms of hardware customization and overall quality, the Elite edges them out in terms of value—more on that below. As it turns out, Microsoft's $60 first-party wireless controller—which is available in a massive range of styles and finishes—is still the best choice for the most gamers. It's a far cry from the hyper customizability and overall quality of pricy options like the Elite or one of Scuf's professional controllers, but where it lacks specialization and eccentricity, it makes up for it in terms of flexibility versus price ratio. 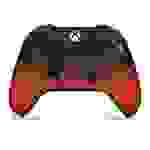 Not only is the standard Xbox Wireless Controller available in a ridiculous range of designs—standard black/white, grey/green, blue, red, green/orange, and in stylings like Volcano Shadow, Minecraft, Ocean Shadow, and Gears of War, to name a few—but it's perfectly situated as a jack of all trades, master of none where the full suite of expected functionality is concerned. The materials are durable enough to last for years (given a modicum of care), and across its sticks, D-pad, shoulder triggers, and face buttons, there's really nothing to complain about. The sticks aren't as good as some of the custom sticks you can find on pricier controllers, sure, and the D-pad isn't perfect, but all in all the standard controller will provide the best value for the most people. 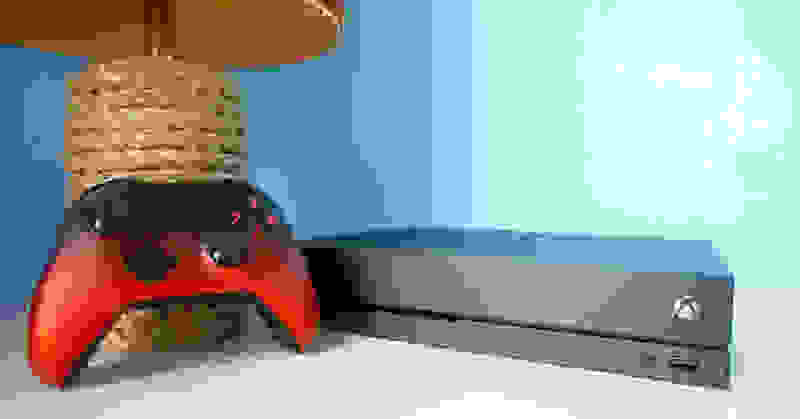 It's also worth mentioning that, for obvious reasons, Microsoft's first-party controllers tend to excel at the system's utility functions, such as plugging in a wide range of headphones and gaming headsets, syncing and maintaining a Bluetooth connection, and assigning controllers to specific Xbox accounts. After the Xbox Elite controller, the Scuf Infinity1 is one of the most robust and customizable pads out there. Scuf has made a name for itself in high-end and pro gaming circles, and was the go-to choice for high-end Xbox controllers prior to Microsoft's first-party backing of the Elite products. 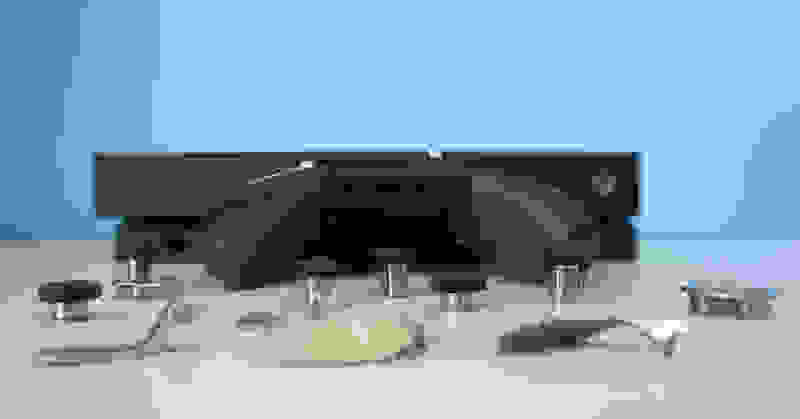 The materials are comfortable for long-term use, and the swappable sticks and parts have been honed to fulfill a wide range of gamer needs, both for general and much more specialized approaches to specific games. However, where the Scuf falls short of the Elite—in my estimation—is that you have to know what you want. As a to-order product, Scuf's Infinity1 starts at a base price of $130 (which is $20 cheaper than the Elite), but this is with standard sticks, a standard D-pad, etc. When building your Scuf, you'll be able to pick from a range of shell color designs (though colors beyond black/white add $20 to the price) and highlight details (which add another $15). Beyond the aesthetics, though, you'll also have to pick a single left/right stick. The standard/height sticks are free, and Scuf offers domed/concave variants in short, medium, or long length for both the left and right joysticks. The issue here is that gamers have to know exactly what they want in advance. Where the Elite comes with all of its stick and D-pad accessories bundled (in a rather durable zip-up case), you'll have to pick one option for your Scuf Infinity1 during the order. If I wanted to recreate my current Xbox Elite setup on the Infinity1, it would cost around $170, and I'd be stuck with a controller I'd designed specifically for Overwatch. The Infinity1 also uses "short travel" style RT and LT shoulder buttons, which make it a bad choice for certain types of games that require more analog gradation, like racing games or certain shooters with automatic weapon bullet-spread mechanics. All that to say, the Scuf is an excellent choice for gamers who know what they want, but not a great choice if you've never experimented with variable stick heights or D-pad "discs" before. At $25, the AmazonBasics Wired Controller offers incredible value—it's less than half the price of the standard Xbox Wireless controller. However, you're losing a few quality points for the money you're saving. I found the shoulder bumpers (LB and RB) to be annoyingly stiff and clicky while quick-scrolling through the Xbox One menu's tabs, and depressing the sticks to change the camera or enter sneak mode in Skyrim was more arduous than I'd have liked. The overall controls and button travel were fine in games like Cuphead and Spectra, but while white-knuckle iron-gripping the chassis during twitchy gameplay, I can't say I felt confident about the controller's overall durability. One place where the AmazonBasics controller's harder, edgier plastic build actually benefits it is its directional pad, the cardinal directional selection button beneath the left joystick on most Xbox controllers. 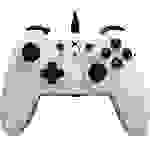 The directional pad (or D-pad) is preferred by many players in 2D fighting games. I went through a few matches in Tekken 7, and found that the AmazonBasics controller's D-pad was actually pretty consistent, though I wasn't able to pull off Kazuya's hyper-fast Perfect Electric Wind God Fist input at all with it. This one is a great choice if you just really need a budget controller (or are buying for a younger/newer gamer who isn't too concerned about long-term comfort), but even somewhat serious gamers probably aren't going to love this thing, especially if they're hunting for a wireless option. It's worth keeping in mind that while we can't test long-term durability, Amazon reviews claim this controller is "easily breakable," and I believe it. Not a bad cheap option if you need an additional controller for an unexpected gathering or gaming event, but even the grippy plastic on the back of the controller started to feel like it was chewing my palms after about an hour. It also worth noting that you can plug a standard 3.5mm headphone jack in here, but the controller doesn't have the standard Xbox One headset port. 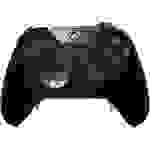 The Power A wired controller for Xbox One is another very cheap option, and it suffers from a few of the same problems as the AmazonBasics controller. However, while the Amazon controller's main issues stem from an overly hard, inflexible plastic design, the Power A model has about the opposite problem: it's very lightweight and flimsy feeling. Depressing the RB and LB shoulder bumpers during games like Overwatch ends up feeling like a risky endeavor, as the bumpers depress deeply into weak-feeling springs, leaving momentary holes where you can peer right into the guts of the controller. I originally bought it as a Windows PC pad for playing Final Fantasy XIV, and it worked well there. The button travel and shoulder triggers lend themselves more to "digital" than "analog" functions, as the controller's springiness and button response is fairly sluggish and inaccurate. It was a bad choice for hyper-twitchy games like Spectra (which relies on very precise left joystick control) and Cuphead (which ideally requires very responsive/instantaneous face button detection). This is another one that's fine as a backup or for a younger/less serious gamer, but doesn't really hold up to more serious play sessions. Even still, for the sub-$30 price tag, it could be worse. 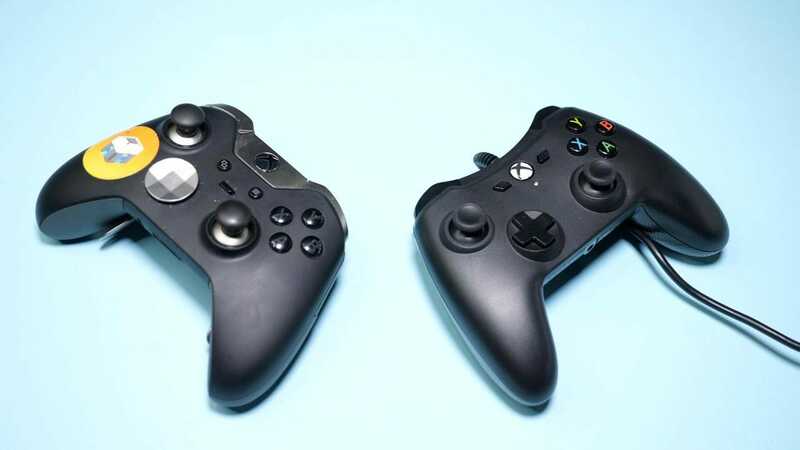 It's a good option for spanning the use gap between Xbox One gaming and Windows gaming, and its chassis is larger and more comfortable to hold for long periods compared to the similar AmazonBasics controller. Overall, we'd recommend more committed gamers spend a little more (you can find some of the standard Xbox Wireless controllers around $50, sometimes $40 online) for a much bigger return in quality for the price. How else would you go about testing a bunch of Xbox controllers? By playing Xbox games! While I've owned a few of the controllers for a number of months (or years), I still made sure to sync them all up/plug them all in and spent time navigating the Xbox One's menus, queuing up apps and Xbox Live parties, and—more than anything else—playing a selection of games meant to test not only the overall efficacy and pain points of each controller, but the responsiveness of specific buttons. • Skyrim: Special Edition: This game was used to test the general responsiveness of the controllers. As a game I've been playing for nigh on 6 years, I'm extremely familiar and fluid with the mechanics. A general session of Skyrim requires moderate use of about every button on the standard Xbox controller: the right stick, bumpers, D-pad, and menu/back buttons come into play as often as the face buttons and main RT/LT shoulder buttons. • Cuphead: This game requires extremely demanding reflexes during the latter/expert boss stages, especially requiring fast travel on the controller's face buttons, where A is used successively for parry moves and jumping, and constant left joystick movement. Cuphead was used primarily to test face button responsiveness, though it also (due to a lock-strafe shooting mechanic) was a great way to reveal weak/drift spots in the left joystick. • Spectra: This game can be played with various control schemes, but its inclusion here was primarily as a hard test of both the left joystick specifically (the game requires the hyper-fast management of a spaceship traveling on rails along an 8-bit track). Not only did Spectra help to identify weaknesses in the left joystick, its white-knuckle nature helped me identify when long-term play sessions would cause thumb discomfort. • Overwatch: Like Skyrim, Overwatch stands as a good test of a controller's whole button layout. However, Overwatch also served as a good test for utility features, such as overall headset or headphone responsiveness where applicable. There are enough twitchy mechanics during multiplayer matches to help identify potential areas of input lag or general button latency. • Tekken 7: I mostly used Tekken 7 to test directional pads (D-pads) specifically. While the game also makes heavy use of each face button (A, B, X, Y), I was primarily trying to identify D-pad comfort and responsiveness. • Dragonball FighterZ: This is a newer game, but like Tekken 7 it is a 2D fighter where the D-pad is featured heavily. I chose this primarily because I wasn't nearly as familiar with it, and hadn't used any one controller excessively with it, to eliminate comparison and comfortability biases and see which controller just naturally felt the best for it.